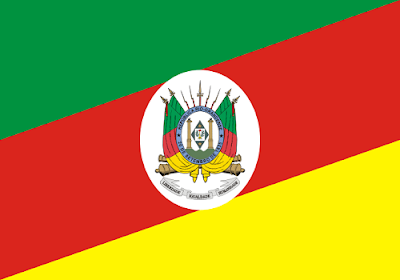 For almost two months, I dedicated my posts for analyze and modify the Brazilian state flags. From the 26 states and a Federal District, I presented suggestion to nine of them. This frame below is representing the progress: the flags in red rectangles are the modified flags, while the other are current flags I decided to maintain. I also commented a São Paulo proposal, but it's not my idea. For comparative purposes, see the current flags set. 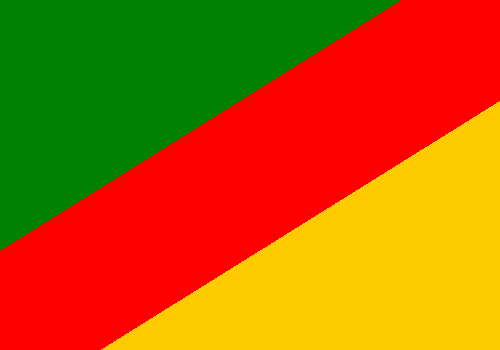 Click here to see all flags on series. Probably, in future, I'll present other Ceará and Rio Grande do Norte proposals (they're too complex), and something about Espírito Santo and Paraíba flags, but not for while. I can sometimes, in future, present proposals to other Brazilian entities but not states. By now, I want to present proposals to other places around world. Actually, I worked on the back burner on some flags during this two months, and still have some works older than this blog (despite some of them aren't good sufficient to be published, I think). I want to know: which is your favorite between all proposals? I thank all comments and views during these series, they make blogging important to me. And now, the last flag for Brazilian states series (for a while): Amazonas! 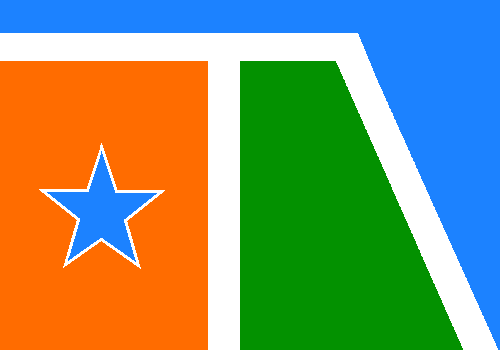 What're the problems with Amazonas flag? First of all, a terrible star arrangement of star. 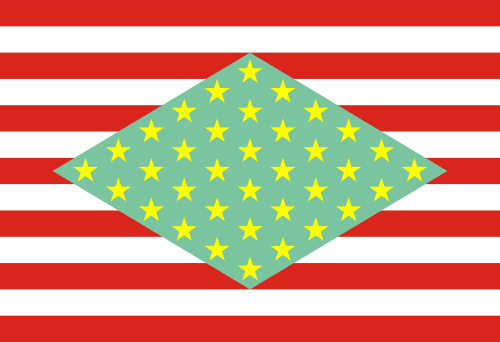 Second, a very unoriginal design — it's obvious the influence of American flag. The layout was less exotic, but easiest to be reproduced. OK, the stars rearrangement is done, it still seems like the USA flag (probably, more than never). So I decided to choice more meaningful colors, as the current ones wouldn't be missed. The first proposal is highly based in current design, while the second shows better the star. It's personal like, but I prefer the first. As soon as possible I'll post a epilogue of the Brazil series. Wait! Comment, follow, share... here and in my new blog. 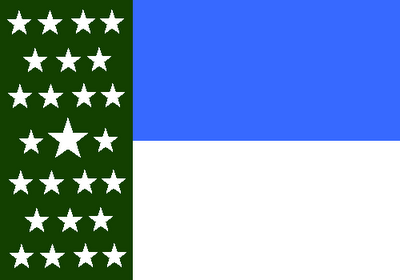 Now I'm presenting my new blog, Flag Review. Visit it! 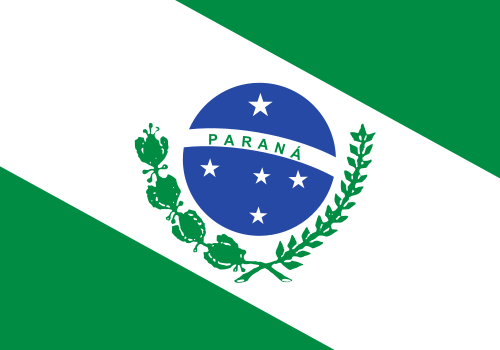 Today I'm talk about my proposals to Paraná and Rio Grande do Sul. I choiced to present this two together because I made the same kind of intervention in the two flags. 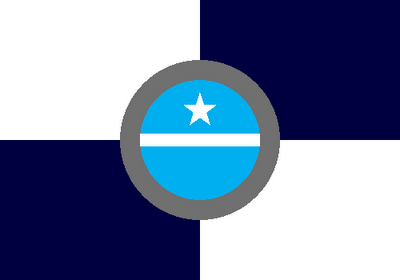 The stripes was rearranged, and Souther Cross gained its traditional layot. For me, it's good: simple, original and remarkable. 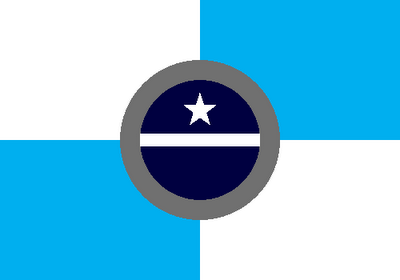 I think it's a little disrespect to state pro-autonomist tradition put a star on it, so I keep it without. It's the penultimate post in Brazil serie, and I'm promising a good surprise to Amazonas post, the last of all. Please, support the blog: read, comment, follow. Sorry the lack of symmetry, a new eagle image would improve it. 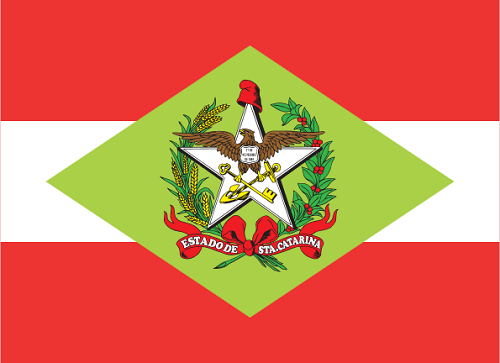 The scarlet is from Rio de Janeiro city flag. I don't know exactly why I put the star in green, but it's good this way. The quartered blue and white is a must, not just because it's a good basis to the flag, but too because it was used in state flag since 1889, at least, but a previous version was used in Empire times.The seal from coat of arms has no meaning known by me, and I couldn't find any early use (it's a strange case of "seal on arms"), but it's a good element. Nº 1: Sea blue in sky blue. Nº 2: Sky blue in sea blue. Any of them would be a great flag, though. The first proposal is more traditional, but maybe the second would be better in sunlight. That's all! What do you feel about my proposals? Comment. 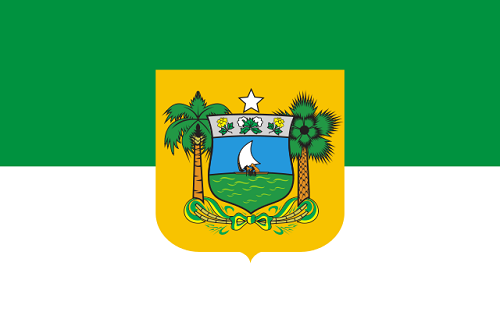 With this, I count 24 Brazilian state flag. Now, it's lasting only three. 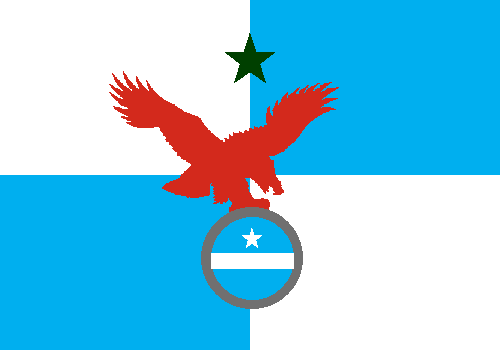 It's a cool flag, but with a old-school style. There's seventeen stripes (the number of juridical districts when the flag was created) and twenty-four stars (the number of municipalities in that moment). There's no symbolic reason to adopt that numbers, and a update would be impossible: currently, the state counts 293 municipalities and a minimum of 182 juridical districts. I'm sorry, but no way. There's another flag that was used in that territory, the flag of the República Juliana (Juliana Republic? 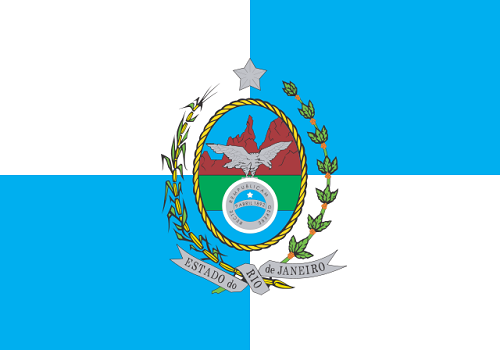 ), a short-lived republic with inspiration in Farroupilha Republic (in their current neighbor state Rio Grande do Sul). 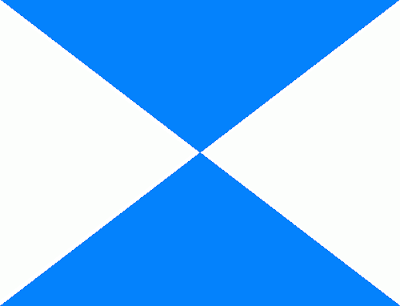 The flag is simple, beutiful and, supposedly, original. But, unlike the Farroupilha Republic, that's almost more popular in Rio Grande do Sul than the national flag, I never knew about a Juliana flag in Santa Catarina, and 95% of state people probably never listened about its existence. 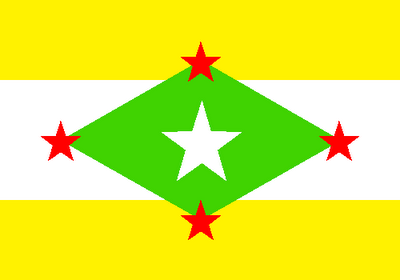 I remained with the Juliana colors: green, yellow and white; I can't see any problem wth it. But I didn't drop the green diamond, said to represent St. Catherine (the patron saint of state). The central star is there, representing the state star in flag. The Southern Cross was a way of putting the red in flag, and remembers this is the second Brazilian state nearest to South Pole. There's a coat of arms on it, but it was a very good one, created by Luís da Câmara Cascudo, maybe the biggest Brazilian folklorist, and excellent historian and anthropologist. The green means hope and white, peace. 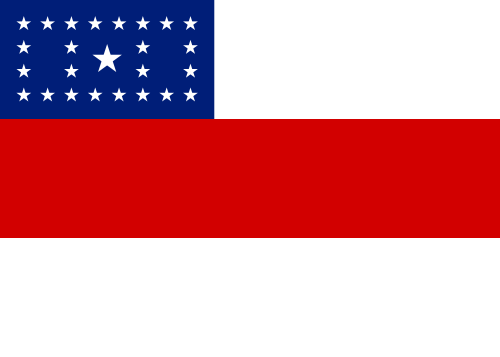 Being honest, it isn't exactly the more immediate flag to change. Just now I repared that it carry a jangada, that I used in my Ceará flag; maybe it would need a re-fix. Let explain it: the blue is for Atlantic Ocean, the diagonal stripe is the coast and the mangroves (the inclination resembles the state coast line), the green is for Atlantic Forest, principally in the south of state (what justifies a second time the inclination), the other white stripe is for agreste, a typically Brazilian vegetation, and the orange has two meanings: the first is to represent the semi-arid climate in state country, the second is to make reference to state gentilic, potiguar (in Tupi language, "shrimp-eater"). 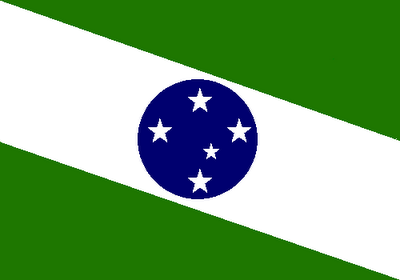 The star in flag is Shaula (Lambda Scorpii), the state star in Brazilian flag. The green and white remained, but now as secondary element. It's not a terrible flag, but the uncommon layout makes me fall in doubt. The colors combination, for me, is good... with a little more inspiration, it would be excellent. 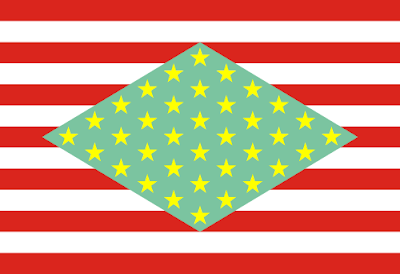 Did you like the flag? What would you change? Comment! I'm working in some unpublished contents, I hope I'll publish as soon it's over.